It’s been a while since I updated Kelly’s Stampin’ Bundles on offer and the September Stampin’ Up promotion has inspired me to do just that….. 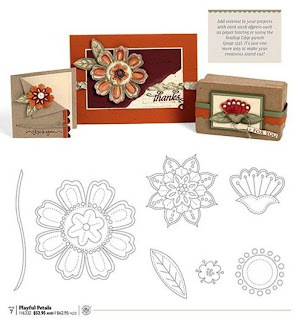 The exclusive ribbon bundle offered by Stampin’ Up! 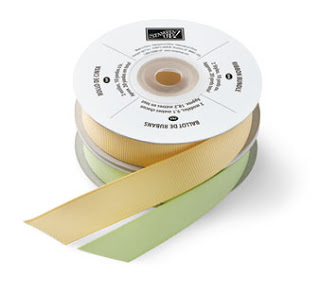 is 9.1 metres each of Certainly Celery 5/8″ poly-twill ribbon plus So Saffron 5/8″ grosgrain ribbon. The ribbon can be obtained with either an order or $120 (excl. shipping) or by hosting a workshop with a $700 or more total (excl. shipping). Using the ribbon colours as inspiration, here is a bundle guaranteed to get this Exclusive Ribbon included in your order! As well as this promo based bundle, you’ll find a great starter set and a colour bundle. As always, just contact me if you would like to order any of these.